Christmastime in Spain is an absolute gastronomic explosion. The restaurants prepare special holiday menus, filled with beloved comfort foods like stewed bull tail and bean stews. And the pastry shops stock their shelves with traditional Spanish sweets. 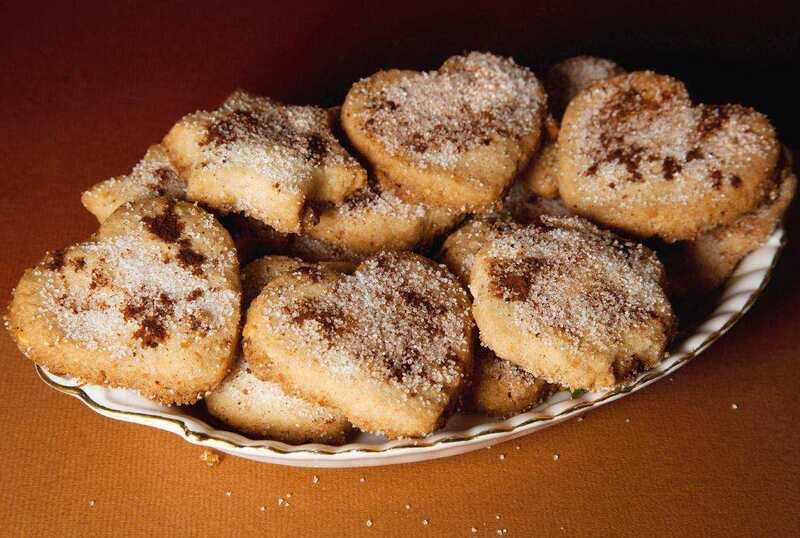 Spanish Christmas cookies are simple, time-honored sweets made with almonds, honey, anise, sugar, and fruit. Bake up a batch of several of these recipes for some extra-special treats this holiday season. Get ready to put your diet or carb-counting on the back burner for just a bit. These tasty morsels are worth it. The Spanish word for lard is manteca, so you can imagine that this traditional recipe calls for lots of it. In fact, mantecados are so soft and creamy they will literally melt in your mouth. They're light with a delicate anise flavor, and words will not do them justice. In Spain, these small, rich and crumbly cookies come wrapped in brightly colored wrappers. Mantecados are synonymous with Christmas in Spain. Polvorones are very traditional Spanish sweets that have not changed in centuries, with the exception of the use of the modern mixer to mix up the batter. These flaky, soft cookies are made with flour, shortening, powdered sugar, and cinnamon. The dough is refrigerated, then rolled out, cut, and baked. For a crisper version that is not as crumbly, try this polvorones recipe. They look like doughnuts, but these little anise-flavored rings with wine are light and delicious cookies. The Spanish eat them accompanied by a glass of anise liqueur, but they are equally delicious with a cup of hot tea or coffee for breakfast or at tea time. Pestinos are flaky and delicate Spanish Christmas cookies from Andalusia in southern Spain. They are very easy to make, and the ingredients are probably already in your pantry; you just need flour, anise seeds or flavoring, white wine, and oil. Mix the ingredients together and roll out the dough, cut, and fry. Once fried, dip the cookies in warm honey and enjoy. (c) 2012 Lisa Sierra Licensed to About.com Inc. These little cylinders called alfajores de Medina Sidonia are covered in syrup and powdered sugar. These sweet treats originated in southern Spain. Recipes vary slightly, but the most traditional version is made from ground almonds and hazelnuts, anise and sesame seeds, cinnamon, and cloves, all held together with warm honey.